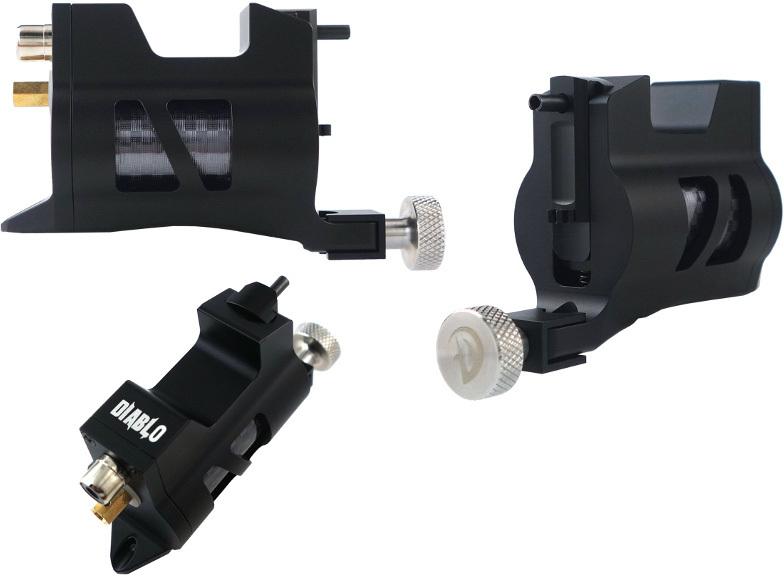 The Diablo Slide Rotary was engineered to be a workhorse machine. Its high-torque Mabuchi motor—designed to work with both standard needle setups and cartridges—delivers a strong, steady hit, and can be powered to run up to 8,000RPM. The CNC-machined aluminum body is sleek and durable. At 5.6oz, the machine feels sturdy and will dampen unwanted vibration. The Diablo Slide, while powerful, also aims for comfort and ease. 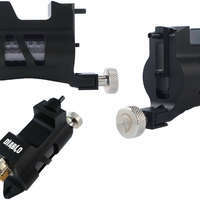 A needle clip will stabilize your needle without the use of rubber bands, and the machine runs quietly, allowing you to concentrate on the task at hand.